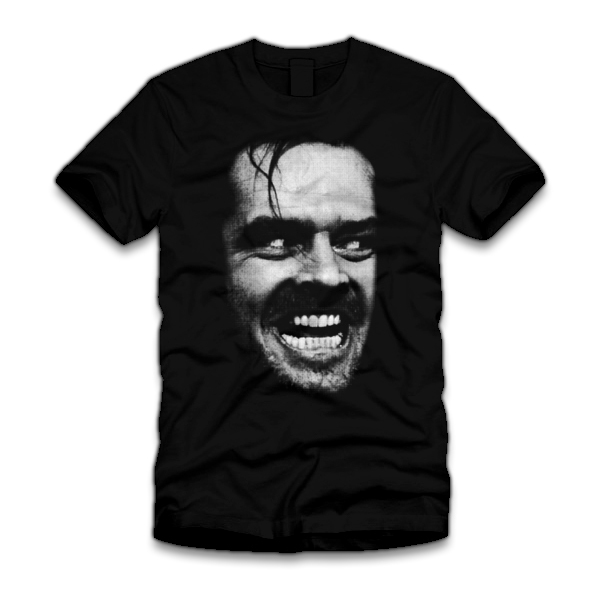 Here’s a new one from one of the creepiest movies of all time, the Shining. Jack Nicholson plays a recovering alcoholic, husband and dad that moved his family to the Overlook Hotel in Colorado to become the caretaker of the hotel. Well, he ends up getting possessed by the hotel demon and going on a killing spree, and ultimately tries to kill his own wife and son. This is a very creepy hotel, old and massive and very much possessed by demons. There was a murder that was committed there and it involved two red-headed little girls that would appear to Jack’s son, Danny. The other creepy part of this movie was that Danny had an imaginary friend named, Tommy. Tony would speak to Danny through Danny’s finger in a raspy, demonic voice. Right before Jack goes on his murderous rampage, Tony (Danny’s demon friend whose name was taken from his middle name) writes RED RUM (MURDER backwards) on the wall in red and he chants in his creepy voice over and over again.